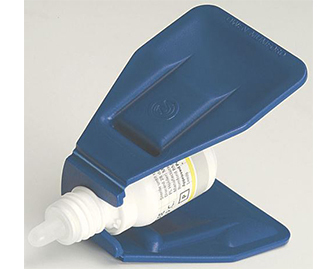 A tool with a long handle and a surface at one end that eye drops can be placed onto. The eye drops are then gently applied to the eye. 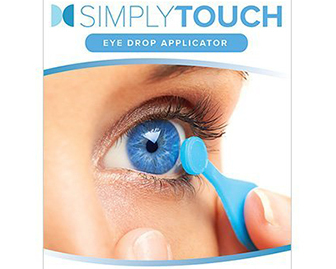 Great for people that have difficulty administering eye drops accurately. 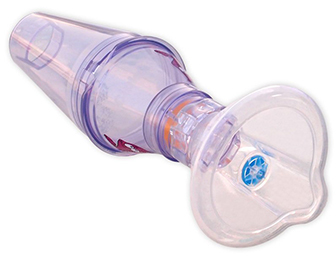 An assistive device meant to help people take their inhaler medication and minimize waste. Insert the inhaler into the holder and use the mouth/nose piece to take deeper breathes to get medication part the oral cavity into the lungs. A small portable medication aid designed to help people swallow their pills. The device can be connected to most drink containers. Put your meds into the holder and drink. The meds will slide out as you drink and it may be easier to swallow. A device that sits over one’s eyes while eye drops are squeezed into it. This helps with getting the liquid drops into the eye accurately. A great tool for those with visual impairments or poor hand eye coordination. 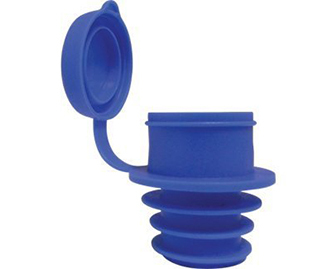 A small assistive aid that is used to hold and squeeze small eye drop bottles. 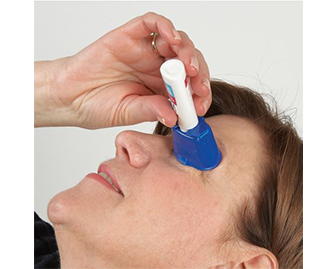 This tool has a larger surface area which increases ease and control with administering eye drops. Great for people with arthritis or those with poor muscle and grip strength. 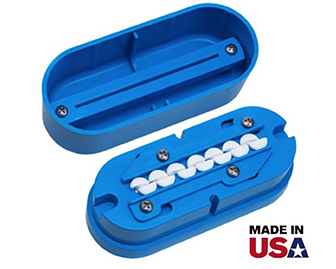 Place one’s meds in the holder and close the lid to cut multiple pills in half or even smaller. Great for people that have to split many pills on a regular basis. This assistive device can help those that have arthritis, poor hand control and weakness.